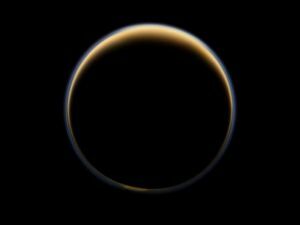 If the Earth becomes inhabitable, a NASA engineer named Janelle Wellons says we should think about settling Saturn’s moon Titan, and she has a laundry list of reasons why — including that you might be able to fly by flapping your arms. In spite of Wellon’s enthusiasm, there are definite downsides to Titan. It only gets about one percent of the sunlight Earth does, and according to NASA’s research its maximum temperature is a wintry -292 degrees Fahrenheit. But Wellon is still a fan. The post NASA Engineer: Humans Should Consider Settling Saturn’s Moon Titan appeared first on Futurism. This entry was posted in Genetic Medicine by admin. Bookmark the permalink.